What's the Difference between Ponzi, Pyramid and Network Marketing? 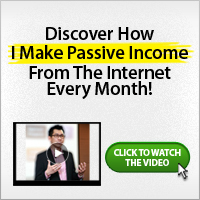 What's the Difference between Ponzi, Pyramid and Network Marketing? Home / Wealth Creation / Network Marketing / What’s the Difference between Ponzi, Pyramid and Network Marketing? It’s not the first time that the un-informed will raise questions about these, and the seeming similarities. I’ve been asked by so many people who I have personally introduced Network Marketing too. In this short and useful post, you will get to know the differences between Ponzi, Pyramid and Network Marketing. I won’t exhaust the topic because the internet is full of information, I’ll give you the summary you may not get quite easily. – Started by a guy called Charles Ponzi and has been called different names up till Maddoff recently, is an INVESTMENT scheme, that collects people’s money with a view of investing in something, but actually ends up paying usually high and unsustainably consistent interest to early comers from the money of current comers. It works on a rob Peter to pay Paul system. It is Illegal, and though it can be successful for ages, is bound to crash. Companies sometimes start honestly but once they have more money than their business, the tendency to go Ponzi is aided by GREED. e.g. Wealthsolutions, Nostpecto, Treasureline, Pennywise e.t.c. over 37 hit Nigeria 3-4yrs ago. Key words – Investment, Returns, Interest, high interest, consistent (monthly or quarterly…) interest. – This consists of 2 words. Pyramids and Schemes. 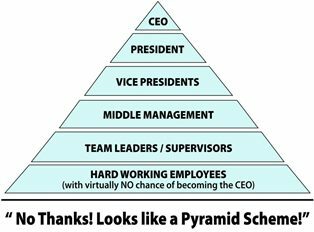 First of all, be clear that Pyramids form the most balanced structure an organization can have. Light on the top and heavy at the bottom. All sustainable organizations from Corporate, to Government, to Non governmental to Church or Mosque, are pyramid shaped. One Pastor, 2 Assistant Pastors, 8 Ministers, 50 Workers and 1000 pew members. It’s the shape of organizations. The terrible word in this combination is the words schemes. A pyramid scheme is summarily a scam that offers people no value/No Product in exchange for their cash payments, but promises them a reward in the event that the “bring others”. Usually the give you form that has no value, and promise you a reward – money, car, e.t.c on getting to a particular level. It is illegal and unsustainable, it inevitably crashes. E.g. CDT, DCC, Power Club, Con Options and many provisions arrangements where you are asked to pay, get a form, bring 4 people and get a bag of rice. Very rewarding but illegal. Key Words: No Value, No Product, Promise, Bring others. – Essentially is a distribution model. It’s a way of ensuring that a product or service moves from maker to user without the conventional model of advertising and distribution. In a Network marketing, money is paid for a product or service of value. Something you can pay for ordinarily. The reward plan is basically a motivation to create word of mouth advertising and to reduce the distance between the company and the customer. There are different models on which Network Marketing companies run, some are more sustainable than others, some require more work than others, and some have lasted for as long as the 76yrs it’s been in existence. It’s like Coca Cola Spending it’s $Billion advertising budget on referrals, it’s the model of the 21st century. The truth is there are companies that masquerade as something else, all depends on the values of it’s backers. Warren Buffet owns over a dozen Network Marketing companies, Richard Brandson and Donald Trump own one each e.t.c. CitiGroup has a branch with the model… offering services not even products. Don’t let anyone create doubt in your mind. I have been involved in all sorts before, have been burnt by some, and had perceived success in some. If Avenues to Wealth was anything short of a legal Network Marketing company, I won’t be involved, Pat Utomi won’t be involved and Dolf De Roos with his multimillion dollar investments in Real Estate won’t become a director in it to soil his reputation. People have been hurt by masquerades before, so they suspect everything that passes. This is just over 3 years, and we are building systems that are built to last. This post was originally written by Adeolu Akinyemi. Some things was added by me.